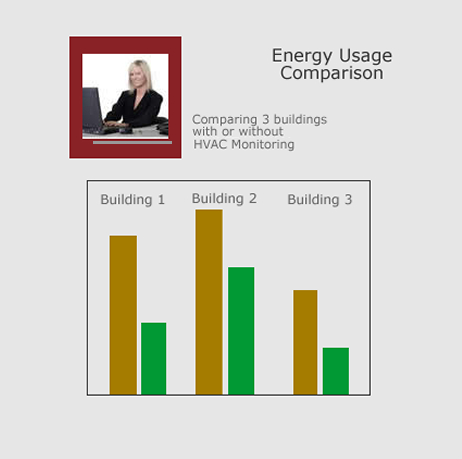 Smart Building Energy Management Strategies Help You Conserve Energy and Save Money. What the chart on the right shows is that with energy management, these 3 buildings have used between 25 and 55 percent less energy, and that means big savings! Energy management is a web-based HVAC systems integration solution that gives facility managers an online, enterprise-wide view of all their buildings and systems, from any PC with an Internet connection. The system is fully customized for each facility and lets users perform daily operations such as operation scheduling, troubleshooting, status updates and data analysis. By carefully monitoring and adjusting energy levels on buildings that have the system control panel, we are able to save up to 50% of the energy used for heating, air conditioning and lighting among other things. By knowing where and when to reduce wasted resources, we can maximize efficiency, while increasing comfort and safety. 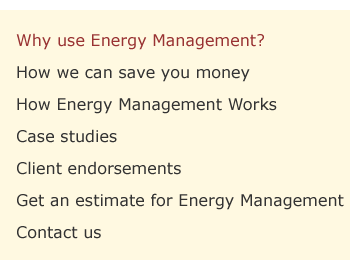 Energy management systems also qualify for tax credits at the local, state and federal level, and will increase the value of your real estate investment.